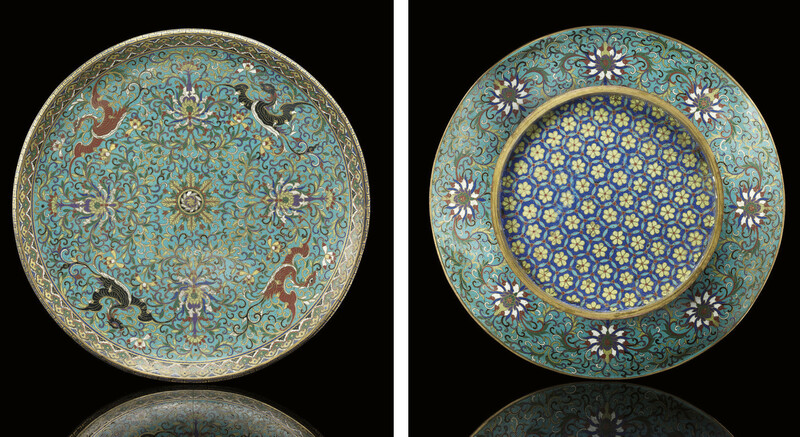 with wide gently rounding sides, decorated in coloured enamels with four pheonix inflight amongst intricate scrolling lotus and leafing tendrils on a turquoise ground, bordered by a slender band of double sided ruyi-head motifs, the underside with similar lotus decoration, the base with a key-fret ground of flowerheads within an hexagonal border -- 16½in. (42cm.) diam.